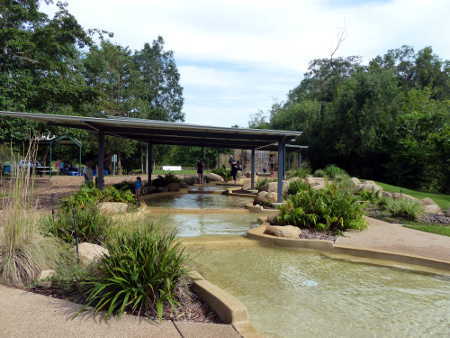 Looking for Darwin vacation ideas? 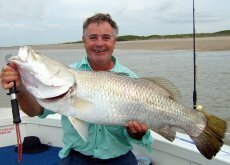 here are some tips on sightseeing, fishing tours, outback tours, accommodation and just plain enjoying the place. Darwin is unique in many ways, it's isolation, weather, history and access to the outback of northern Australia combine to attract many visitors. 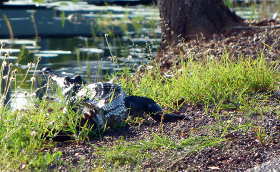 People come for many different reasons, some to see the famous crocodiles in the Adelaide River, some to fish for fighting barramundi and others just to enjoy the relaxed lifestyle. Here is a snapshot of these so you can follow through the areas that interest you in particular. There are also many books on Darwin & Australia available. The vastness of the outback has to be experienced to be understood. There are several famous National Parks within a days drive, including Kakadu, Litchfield and Katherine Gorge. Take a guided fishing tour, hire a boat or try your luck from the wharf. The reputation of the barramundi as a fighting sports fish and a chef's delight brings many people to Darwin year after year. The impact of WW11 can still be seen around Darwin as gun emplacements, memorials and museums. The extensive bombing of Darwin and the massive amounts of infrastructure built during that period changed Darwin forever. The diversity of habitat around the area makes this a birdwatchers paradise with more than 200 species recorded across the Top End. Check these photos to see some of the common birds found in suburban Darwin. Worth a category of their own, these ancient reptiles fascinate people and there is no shortage of them in the Northern Territory. There are several crocodile cruises, crocodile farms, a wildlife park and areas where you can safely see them in the wild. Aboriginal Art has gained significant worldwide recognition, and it it just one small aspect of an ancient culture kept alive by it's people even today. From farmers to conservationists, people are seeing the lessons to be learnt from the traditional knowledge of the land and it's plants and animals. The storm that changed Darwin is still a topic of intense interest, maybe because many people live in areas where similar cyclonic events could occur. Perhaps it's the climate, maybe it's the diversity of cultures or maybe it's just something in the air. Whatever the reason, this is a place where formality is kept in the bottom drawer and you can relax and be yourself during your Darwin vacation.